Rent Currant | Corporate Events | Wedding Locations, Event Spaces and Party Venues. Currant is dedicated to uncompromising quality! We have modernized the classic French bistro with a touch of American ingenuity, creating a professional yet humble atmosphere. Our Dining room is a warm, elegant, intimate space that can seat up to 50 guests comfortably. 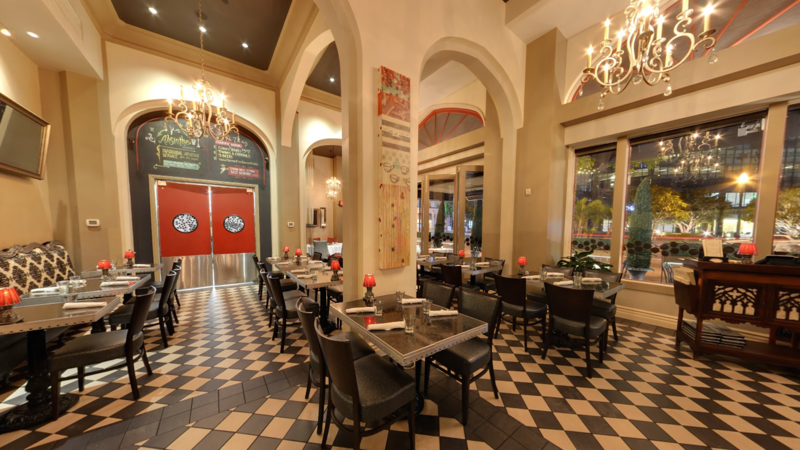 Set beneath charming chandeliers and with black and white tile floor, the space welcomes diners to enjoy a pre fix menu tailored to your needs, a la carte dining or a classy hors d'oeuvre party. Our lounge has a dark, hip and sleek relaxed feel to it. It can accommodate 30 to 40 guests and lends itself to happy hour parties, cocktail parties, bachelor and bachelorette parties or even a coursed dinner. Seating is comfortable high-top tables and banquettes perfect for socializing.